Newsflash Westminster Kennel Club: it’s 2016. “Non-sporting” and “Toy”? Are you serious!? Two words: systemic discrimination. Don’t get me started. Oh sure, round up all the Chihuahuas and Shih Tzus and don’t let them compete with the big dogs. While you’re at it, why not officially name the category after something that also means “an object for a child to play with, typically a model or miniature replica of something.” Unbelievable! I happen to know a Tea Cup Chihuahua named Pete who once, according to him, single-handedly rescued a clumsy Border collie who’d somehow or other managed to fall down a well. 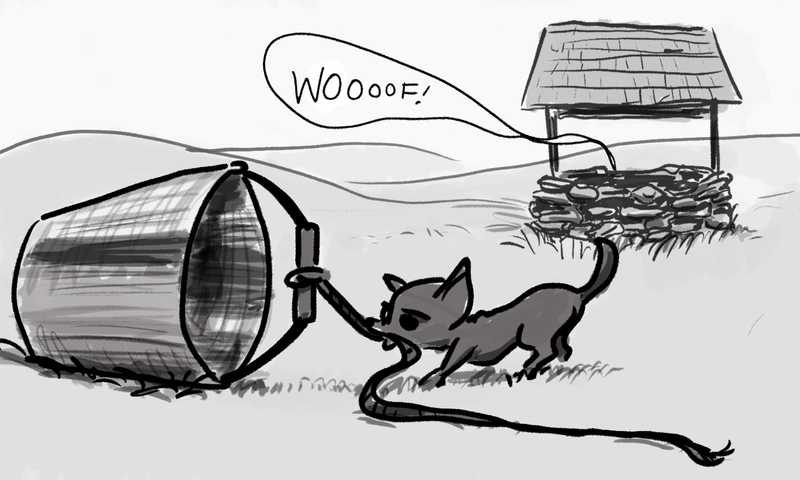 I admit the physics are sketchy and exposed wells are exceedingly rare these days and that the whole thing bears an uncanny resemblance to an episode of Lassie, but I for one believe him. And did you know that Benji—the greatest mutt who ever lived—was part Tibetan Terrier? That’s a fact but get this: According to these elitist half-wits at the WKC, that honorable breed is relegated to the “Non-sporting” fringe of their so-called “prestigious” competition. Shocked yet? I was too. On top of that, apparently mutts like me—mixed-breeds who tackle overwhelming odds with grit, determination and courage on a daily basis—aren’t even eligible for their “Best In Show”? More like Best In Stupid-o. Don’t get me started. Of course, don’t expect to hear anything about this in the mainstream media. Newsflash puppies: it’s all owned by the corporations. Nobody believes me but I think even The Droolitzer’s star reporter, Bogart the Bulldog, might be on the take from Purina®. I’m just saying he has a lot of chew toys and peanut butter for a newspaper dog and part-time gardener. But hey, I have nothing against the guy—he’s an excellent writer and one of the most intrepid canine journalists out there—I just hope his credibility hasn’t been compromised. That’s all. Which reminds me of the time my pal Sparky’s credibility was, for a fact, compromised.